PERRYSBURG, Ohio (April 1, 2015) - Owens-Illinois, Inc. (OI) has scheduled its first quarter 2015 conference call and webcast for Wednesday, April 29, 2015, at 8 a.m. Eastern Time. The company`s news release for the first quarter 2015 earnings will be issued after the market closes on Tuesday, April 28. 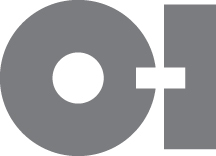 A review of first quarter sales, segment operating profit and earnings per share, including comparisons to prior year, will also be posted on the O-I website, www.o-i.com/investors when the earnings news release is issued. The webcast will be archived at www.o-i.com/investors until April 2016. To participate in the event via conference call, dial 1-888-733-1701 (U.S. and Canada) or 706-634-4943 (International) by 7:50 a.m., Eastern Time, on April 29. Ask for the O-I conference call. O-I`s Glass Is Life(TM) movement promotes the widespread benefits of glass packaging in key markets around the globe. Learn more about the reasons to choose glass and join the movement at glassislife.com.